Spring is one of our favorite times of the year. The cold winter days are finally over and we can almost smell the summer breeze. Missing the feeling of summer brings us traveling to NW Istria in Croatia a lot. Being based in Slovenia, we only have 1,5 hours by car to reach it. A trip to NW Istria has never failed us. 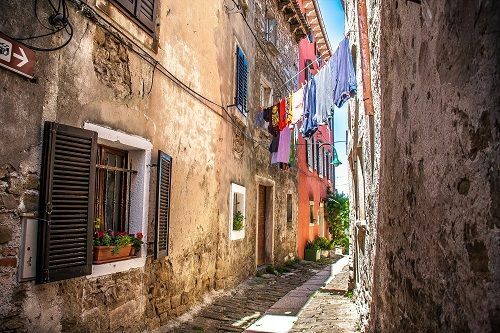 We love to explore Istria’s old, stone built villages and towns. And what spring exploration makes even better – it is time for wild asparagus. Not only we like to eat them, we also like to pick them up and try cooking different dishes out of them by ourselves. 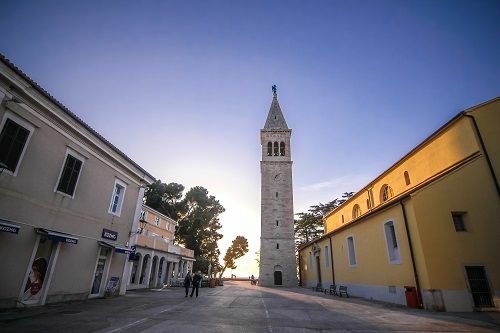 If you are planning a trip to Croatia, make sure to spend few days in Istria too. There is a lot to do here and let us give you just few ideas, what cannot be missed. 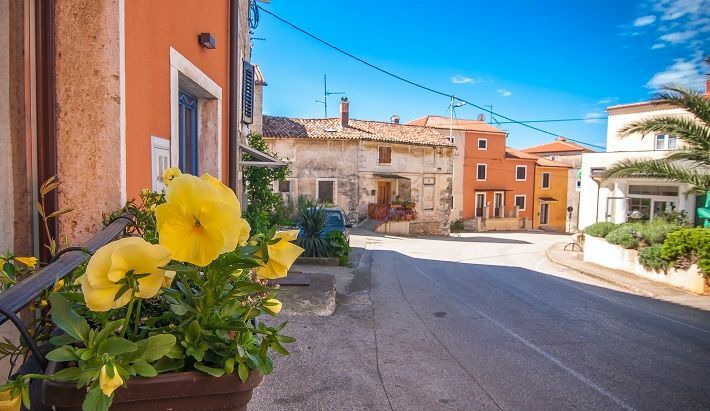 NW Istria is great for rewarding roadtrip as the views will blow your mind. From vineyards, hilly countryside and old towns to charming coastal areas. 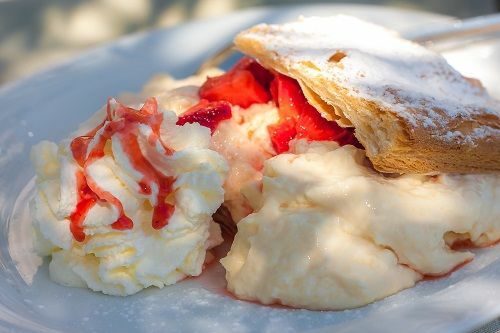 We started our weekend get-away in Umag, where we indulge ourselves with a creamy and homemade ice-cream. 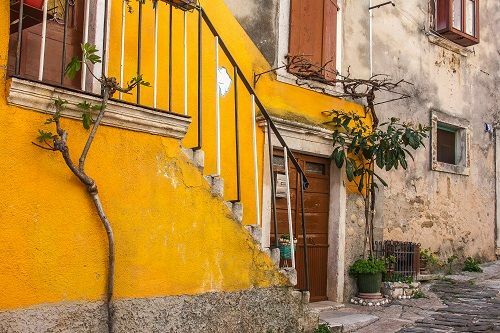 Strolling around the narrow streets, enjoying our walk at the promenade along the sea sure made a nice start into NW Istria exploration. Where ever we travel, we are always passionate about the local food and it was no difference this time. After wandering around Umag we soon began being hungry and were recommended a local restaurant (konoba) La Parenzana. (Coordinates: 45.25.45.3 / 013.38.54.7). The restaurant La Parenzana is mostly famous for its homemade pasta, which can vary from season to season. But all together, they can prepare you more than 20 different kinds. 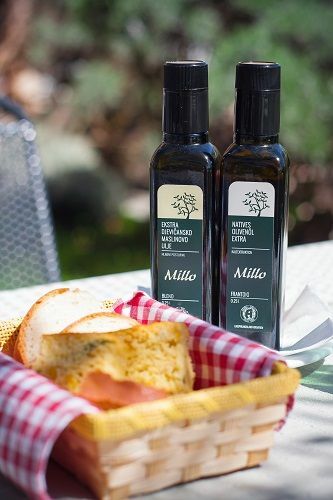 All your meals at La Parenzana will start with home-made bread and local olive oil – two in fact; mild and a bit stronger, which we had a hard time deciding which is better in taste, so we had a bit of both. 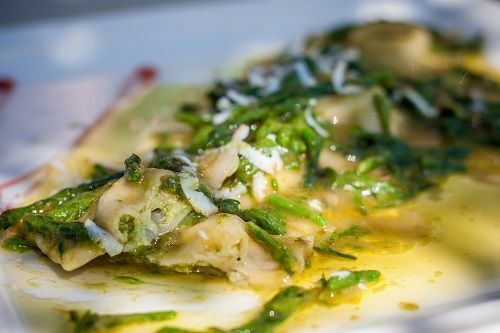 During the Days of Asparagus festival, the restaurant La Parenzana offers additional menus, including dishes from wild asparagus. Simon and I decided to try a different menu and we were not disappointed. For starters we were both served with home-made ravioli, one were with asparagus and the other were filled with scallops. The portion was big enough for starters, but being a big fan of pasta, I could leave the main dish and go for some more of ravioli. Well, I was thinking about that just before the main dish was served… Tuna fillet with asparagus… Mmmmm, did I really say I want some more raviolis? Luckily I still had some place left for the tuna and the side dish, which was baked potato and grilled veggies. Simon, on the other hand, had been served with Špaleta (cured pork shoulder) with asparagus. We both like the food a lot and it was nice to get some colors on the plates too. After all, we are eating with our eyes too. We did not have a dessert in mind, but after offering homemade tiramisu and mille feuille with strawberries, we could not say no. Just look at the photo and you will know why. This was our first visit to the restaurant La Parenzana and definitely not our last. There is still lots to try, including dishes cooked in cast iron pot on an open fire. 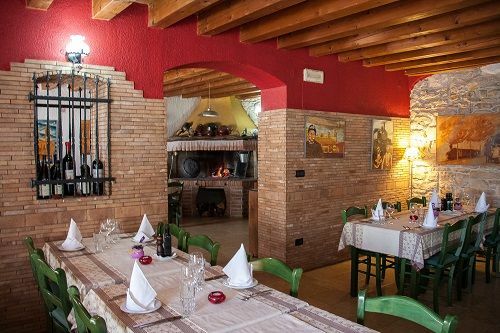 If you ate more than you should and can hardly move, the restaurant La Parenzana is also a guesthouse, offering 16 modestly but naturally decorated rooms. 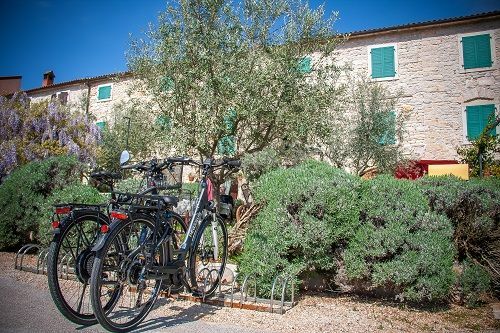 The location of the restaurant La Parenzana is also great for all outdoor enthusiasts, especially cyclist. The bike path La Paranzana (formal railway from Trieste to Poreč) passes by the restaurant. Well, but if you gain some extra energy with the food, we would definitely recommend you to do some more exploration. 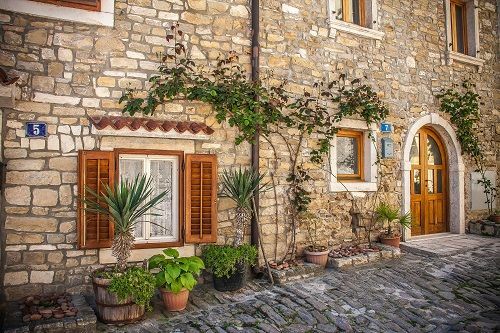 Head up to Buje and walk around the old historical town. It is full of history and beautiful photo motives. 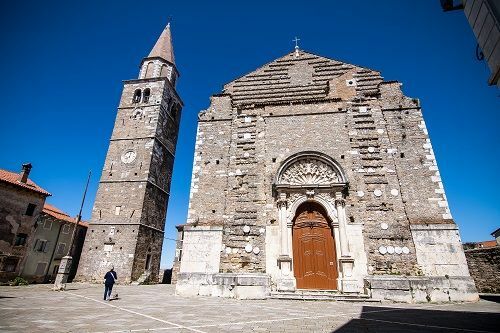 Don’t miss climbing up the 48 meter high bell tower, standing near the St. Servola church. 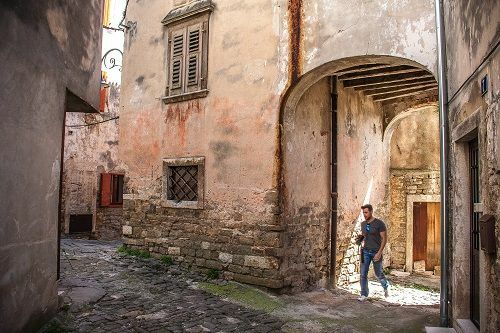 Whichever town you visit in Istria, you will notice lions with wings on some old buildings. This is a clear sign that Istria was once a part of Venetian Republic. Make sure to find a lion or two. Another cute village to be explored is Brtonigla. 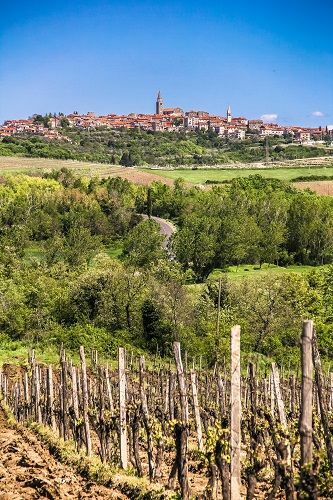 It is set on a hill, above the vineyards, so we don’t advise you to just wander around its old streets, but to also taste a glass of local wine. 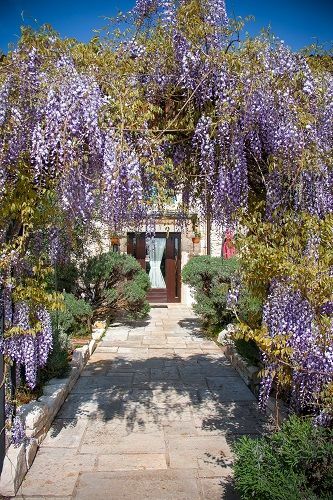 Your best choice could be San Rocco hotel and restaurant, which was declared as the best hotel in Croatia for four years in a row. Close your day at the coastal town Novigrad. We have stayed in a beautiful 4 star hotel Aminess Maestral. 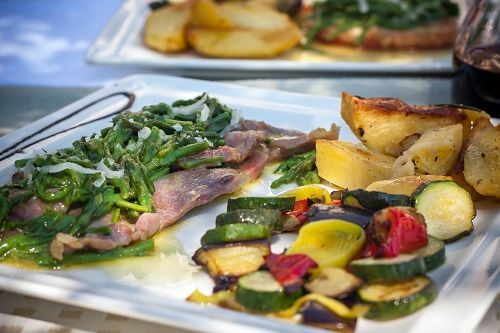 Even though we were still full from lunch in the restaurant La Parenzana , we just could not resist its self-service dinner. Also hotel’s breakfast was amazing. 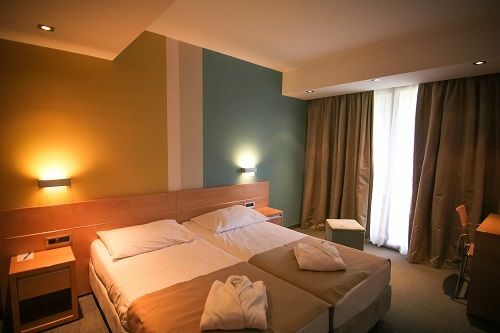 With its large room, this hotel was perfect for a weekend get-away. For your day two and after breakfast, you might like to have a morning coffee near the sea. Novigrad, being just 10 minutes walk away from the Hotel Aminess Maestral, makes it a great place to get some morning sun. Take this day a bit easier and enjoy doing nothing – or almost nothing. Novigrad is also a nice place to do a short walk around its tiny old town. You will have plenty of good photography spots, so have your camera ready to make some memories. 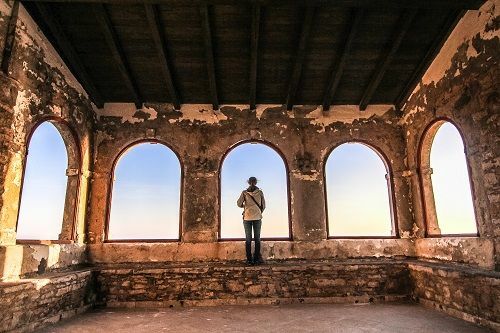 Northwest Istria might sound small, but there is lots of hidden gems, waiting for you to explore. No wonder why we like this part of Croatia so much. We just cannot get enough of it and we cannot wait for a re-visit. We traveled to NW Istria as a press trip, organized by the Coloursofistria tourism board, but all opinions and recommendations are our own.